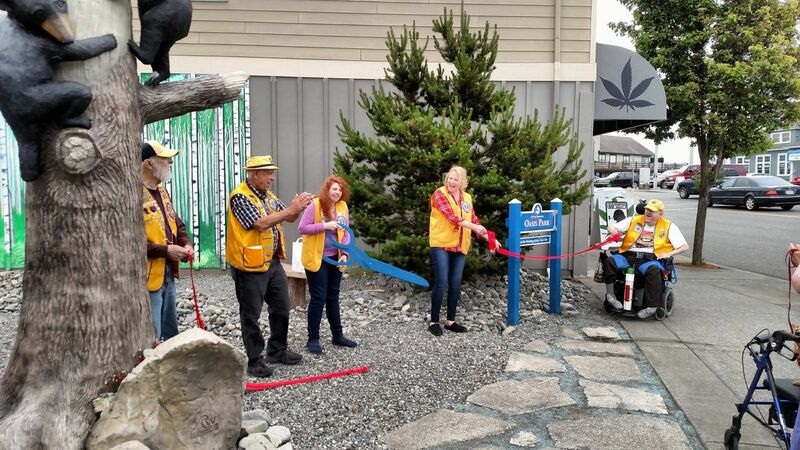 June 7th, 2017 Brookings-Harbor Lions Club Oasis Park Ribbon Cutting Ceremony. First club in City's Adopt-A-Park Program...Celebrating 100 Years of LCI Service! 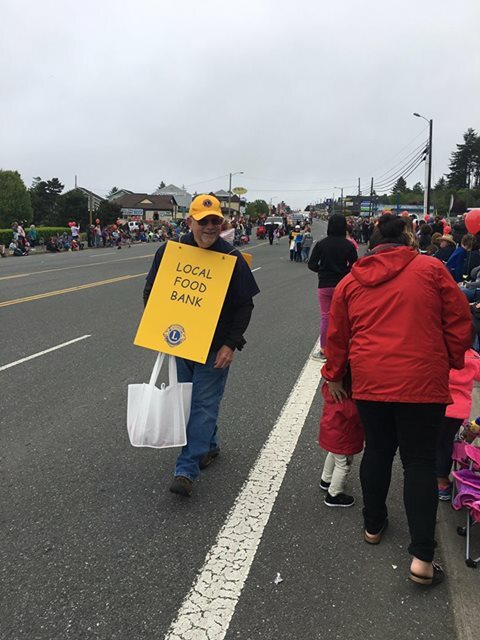 Our local Brookings-Harbor Lions Club has two community 100 year legacy projects underway. This summer members are putting in a Lion drinking fountain in Kids Town at Azalea Park. The club also decided to adopt the downtown Oasis Park to beautify and maintain. In phase one, twenty Azaleas have been planted and a mini dog station. With the help of local artists, built by Dave Jenkins and painted by Brian Gibbons, the park now features a Pop-Up Library where you may take a book and leave a book later. All readers of any age are welcome to share the fun of reading. 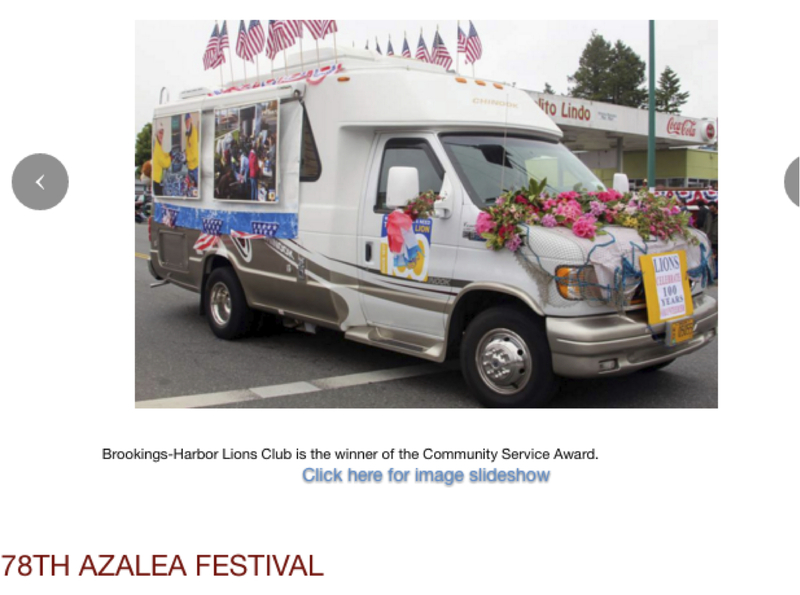 Check-out Brookings-Harbor Lions Club Facebook page for project updates. 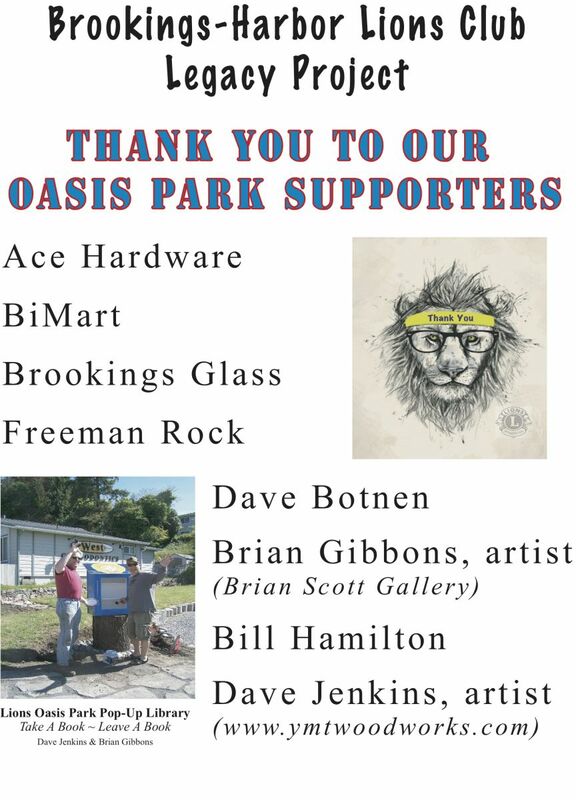 The Lions would like to thank the following supporters for our community park project : Ace Hardware, BiMart, Dave Botnen, Brookings Glass, Freeman Rock, Brian Gibbons and Dave Jenkins.